No matter how bad they are, they are really good! He is powerful as well as a brilliant strategist. 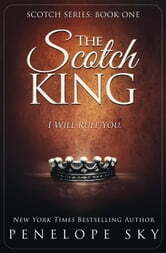 If people feared him before, they will now bow to him fearful of his ire. His business is manufacturing the best Scotch in the world but that is only his way to "launder" his money and make it legal. Crewe is unbendable. When he decides to punish Joseph for messing with him, he picked the one thing in the world for which Joseph would give his life ~ his sister. In the vein of Buttons and Lace, we once again are looking at the men that rule in the darkness. They are all friends and enemies playing out their stories. In this case, we meet Crewe and London who are the most opposite characters I have encountered. She is studying medicine so she can heal. He is the underworld King who does not even bat an eye when ending a life. Just like with the series Buttons, I am deeply invested in this new series. These characters, no matter how bad they are on the surface, have powerful redeeming qualities. 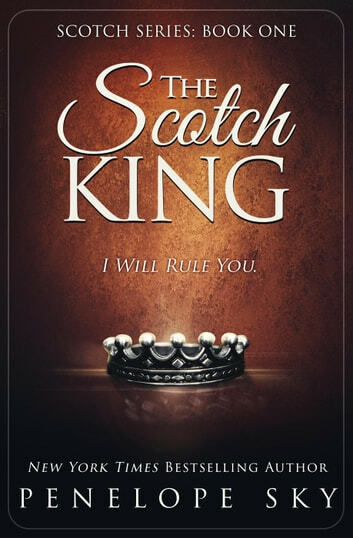 I am eagerly awaiting the next installment The Scotch Queen. I cannot wait to read it! Definitely for adults over the age of 18! I am voluntarily reviewing this book. Thank you to the author for sharing a copy with me. Love it, looking forward to book 2 . Although predictable with millionaire beast, captures beautiful female, there is enough of a plot to keep it moving. ...and purchasing 2 nd book. Brillant. Excellent. What a story line. Crewe dark and dangerous but has soft side when it comes to London. London is strong woman going against everything she believes. Excellent writing Penelope. Echt een meeslepend boek. Aanrader! Ga nu snel verder met deel 2!